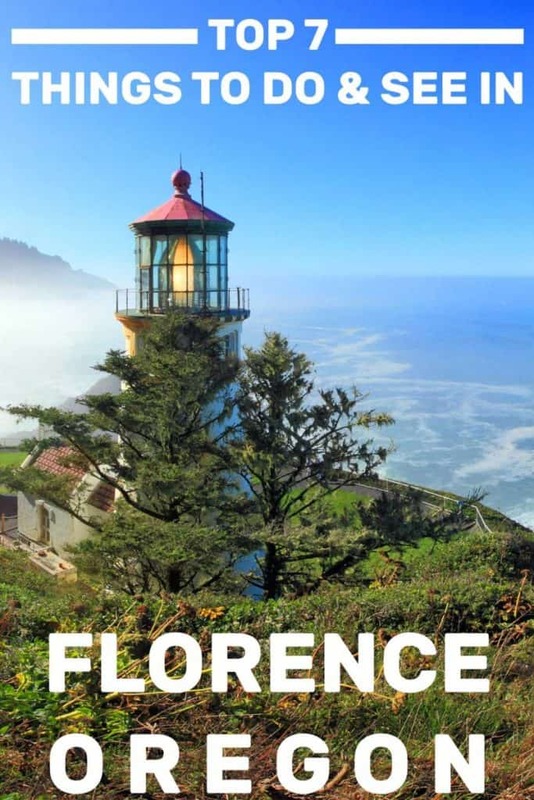 Continuing with our series of posts about destinations along the Oregon Coast, it’s time to take a close look at Florence. If you’re traveling along the coast, this should probably be your “anchor” for the southern section of the trip. There’s just so much to see and do in Florence, you may want to stop there for at least one full day. Maybe longer. We’ve visited Florence twice. In 2011 and again in 2015. I’m sure we’ll be back again to explore more of what this lovely area has to offer. Keep reading for more detailed information on each of these attractions, including the cost, hours of operation, and links to the attraction’s websites. 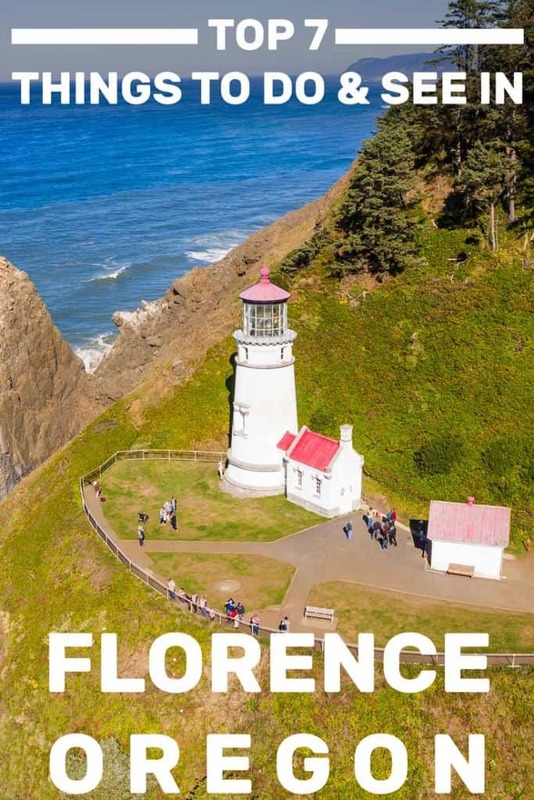 In addition, I have included a couple of suggestions on where to stay while enjoying the top things to do in Florence, Oregon. 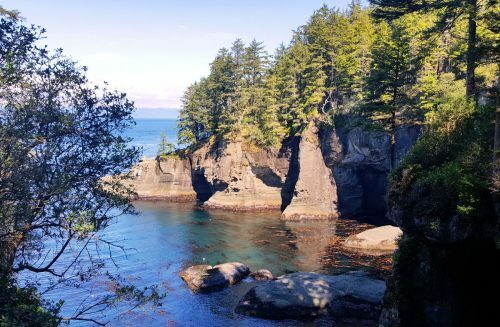 Located in a cove at the mouth of Cape Creek this viewpoint provides visitors wonderful views of the ocean. 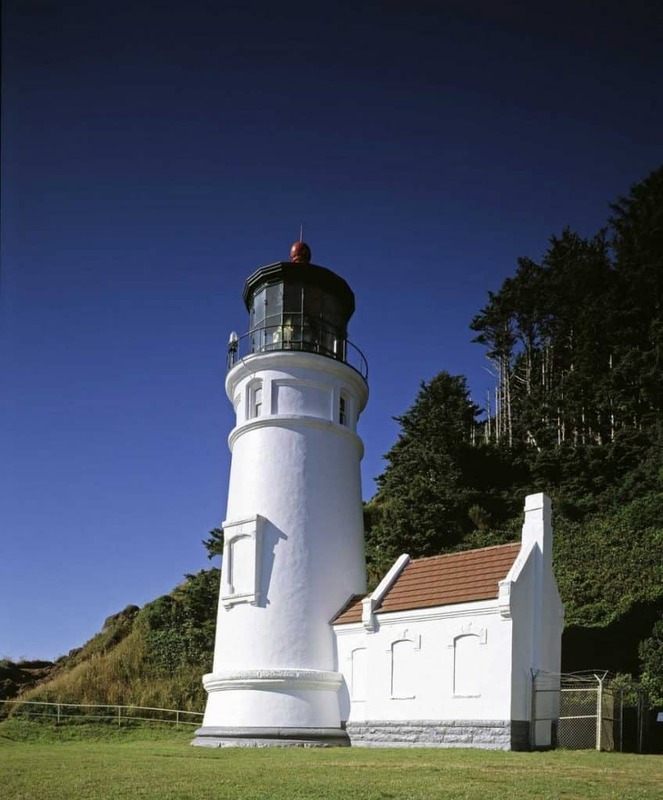 In addition, there is the Heceta Head Lighthouse which has programs allowing you to view the ground floor of the tower and the base of the lighthouse. 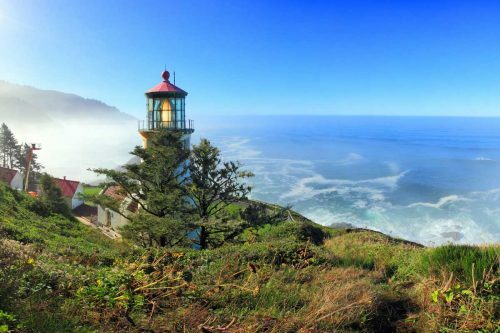 The Heceta Lighthouse trail leads visitors to the lighthouse, but it is part of 7 miles of trails of varying difficulty. The lighthouse trail is easy and the parking lot at the head provides views of the ocean and beach access. Visitors caution to watch the tide schedule so that you don’t get caught by surprise by a sneaker wave. The Lighthouse stands on the west side of the 1,000-foot cliff of Heceta Head. It stands 56-feet tall and the automated beacon can be viewed as far as 21 miles from shore. 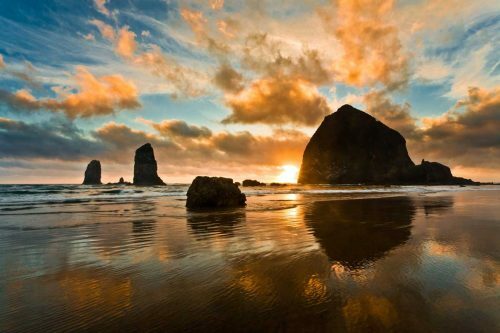 The light was initially lit in 1894 and is considered the strongest light on the Oregon coast. It is also one of the most photographed lighthouses on the coast. There are self-guided interpretive panels located along the trail to the lighthouse. In addition, programs are offered from 11 am to 3 pm (2 pm during the winter months) when the weather is good and there are people available to give them. For specific information about dates and times, you can e-mail them at [email protected]. We did take that guided tour and found it to be informational and entertaining. Even our boys – only 13 and 11 at the time – found it interesting! 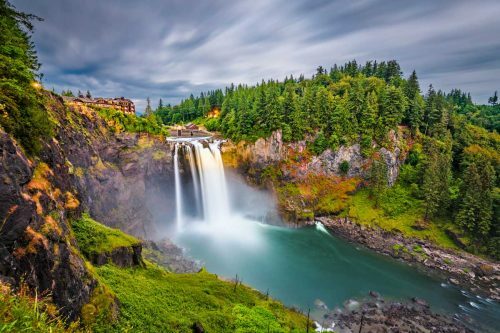 The park is available to visit daily from dusk to dawn year-round. Day-use parking permits are required and cost $5. They can be purchased from a machine at the park. Detailed conditions for the park can be found on their website, as well as more information about the area. This privately-owned wildlife preserve and bird sanctuary opened in 1932 and is still a favorite of locals and visitors alike! 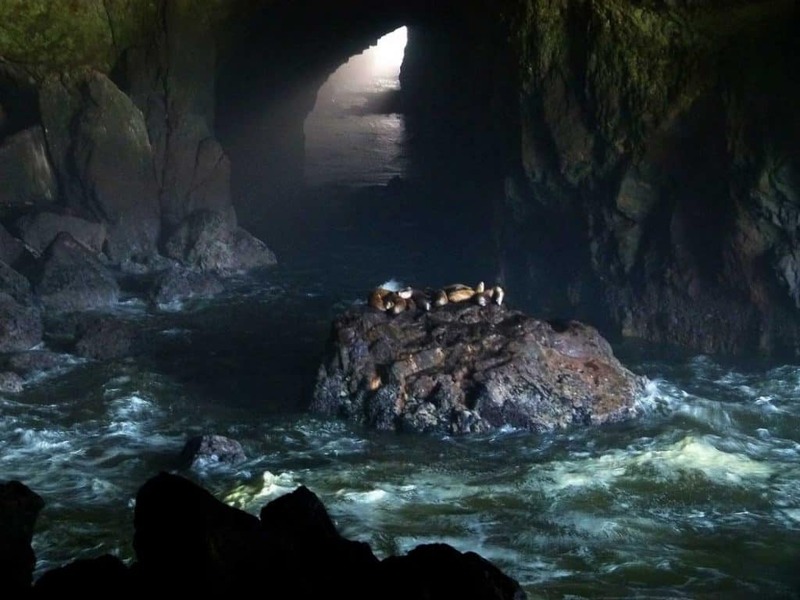 It is the largest sea cave and the area is home to hundreds of Steller sea lions. In addition, it is a place you can view various sea birds and migrating whales. The main building houses a Steller Sea Lion skeleton on loan from the Hatfield Marine Science Center. It allows visitors a chance to seek the bone structure of these amazing animals. There are multiple viewing decks along the walk to the cave allowing you to take in the scenery above the cave system. From there you can take an elevator to the floor of the cave. The main chamber of the cave has a floor area of around two acres and the vaulted dome stretches up to 125-feet. The north entrance opens into the main cave and offers visitors an elevated observation area from which they can view the different wildlife in the cave. 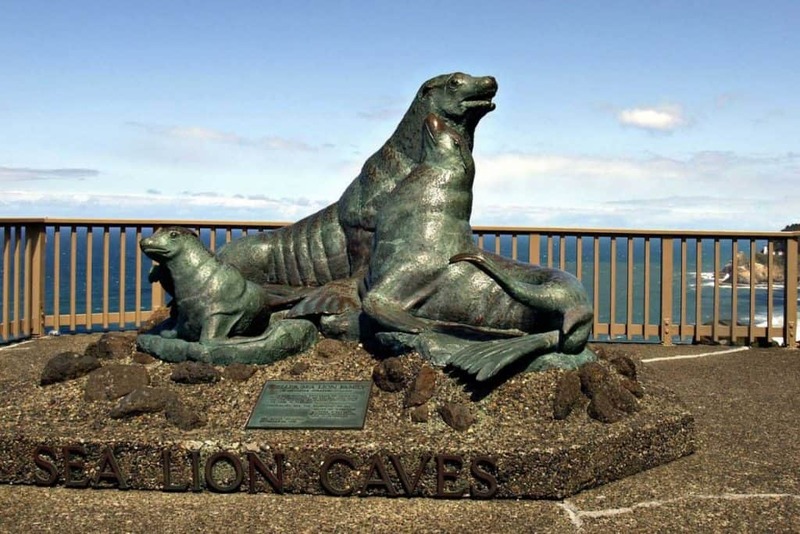 Sea Lion Caves is a part of the Oregon Marine Reserve, but it is not a zoo. The animals are free to come and go as they please, so each visit is a unique experience. In the winter, the cave is where the sea lions seek refuge from the weather. Throughout the spring and summer, the sea lions move to the rock ledges in front of the cave. Weather permitting, the Caves are open daily with the exception of Thanksgiving and Christmas days. The hours of operation are 9 am to 5 pm and admission is $14 for adults, $8 for those 12 to 5 years old, and kids 4 and under are free. For more information on the Caves or the different animals you can see on your visit, go to their website. 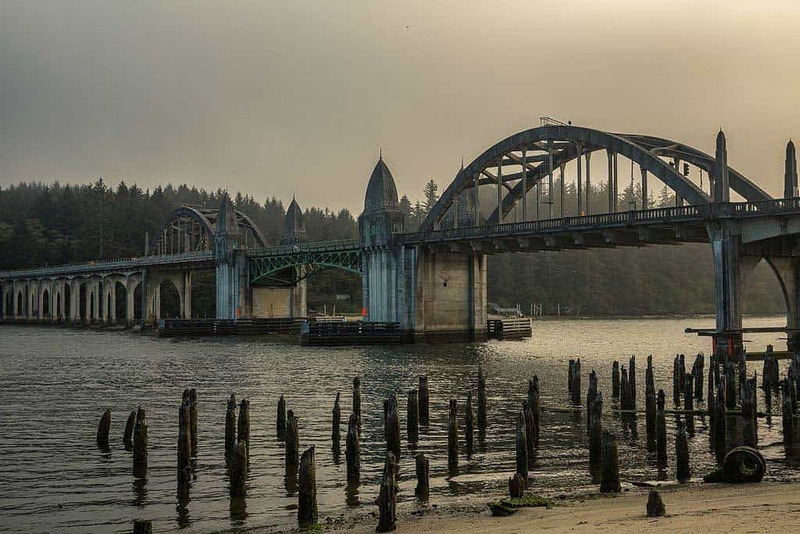 Added to the National Register of Historic Places back in 2005, the Siuslaw River Bridge opened in 1936. This bridge is 140 feet long and is a drawbridge, or in more scientific terms a bascule bridge. When open, there are 110 feet of horizontal clearance for passing boats. The Interpretive Center is located in Historic Old Town Florence. It has a viewing platform with a gorgeous view of the estuary and the Bridge. It gives visitors a chance to learn about the river, native plants, the bridge, and its history. The center is available 24 hours a day, 7 days a week and there is no cost to visit. It has wheelchair accessible paths, benches, and picnic tables so that you can enjoy the scenery. You can also watch boats go by and the bridge’s double-leaf bascule open and close. If you want to learn more about what it was like to be a pioneer, this is the place for you! This museum has many historic displays, pictures, and artifacts that help bring the history of the area to life. There is a video display in the lobby and different activities in the museum help teach visitors about the way life was when the pioneers were settling in the area. 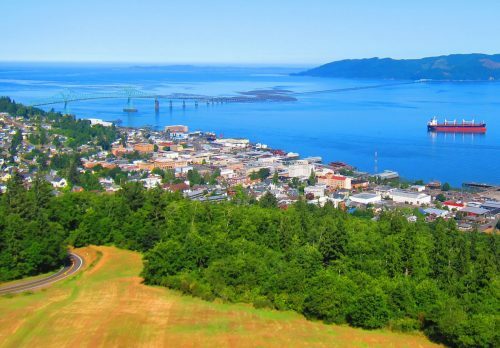 The pioneers that settled in the area were primarily loggers and fishermen and many displays help visitors see what life was like for these brave individuals. Many different artifacts are also on display including early photographs of Mapleton, the Giving Wall, Mastodon teeth, and more. There is also a self-guided Historic Walking Tour that begins at the museum. The tour takes you by more than 20 different historic buildings and locations in the Old Town Florence area. The museum is open Tuesday through Sunday from noon to 4 pm most months. They are closed from Christmas to February 1, Easter Sunday, and Thanksgiving. It is $4 for adults and anyone under the age of 16 is free. Visit their website for more information. 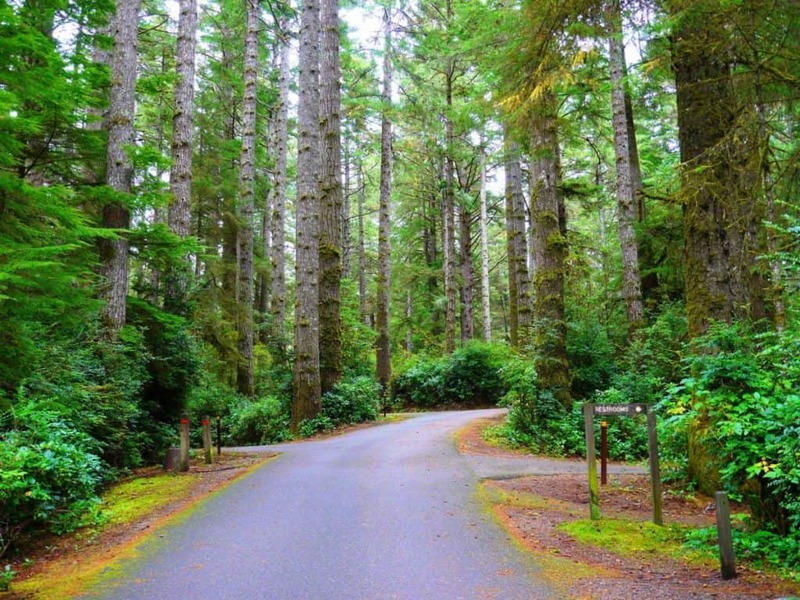 Once named by LIFE magazine as one of the Top 10 state parks in the nation there is a lot to take at Jessie M. Honeyman Memorial State Park. This park is a popular spot for locals due to the numerous hiking trails and three freshwater lakes located within its borders. During the summer months, there are interpretive programs available in the park’s amphitheater. In the fall you can have the chance to pick huckleberries. 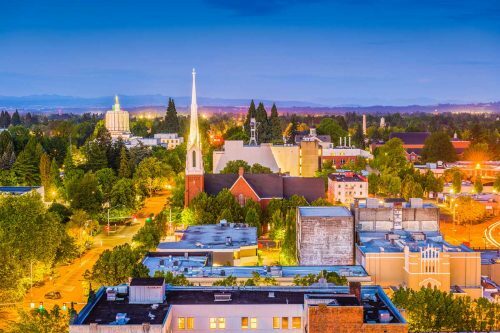 And the park’s 43-acre historic district allows you a chance to step back in time to the 1930s. 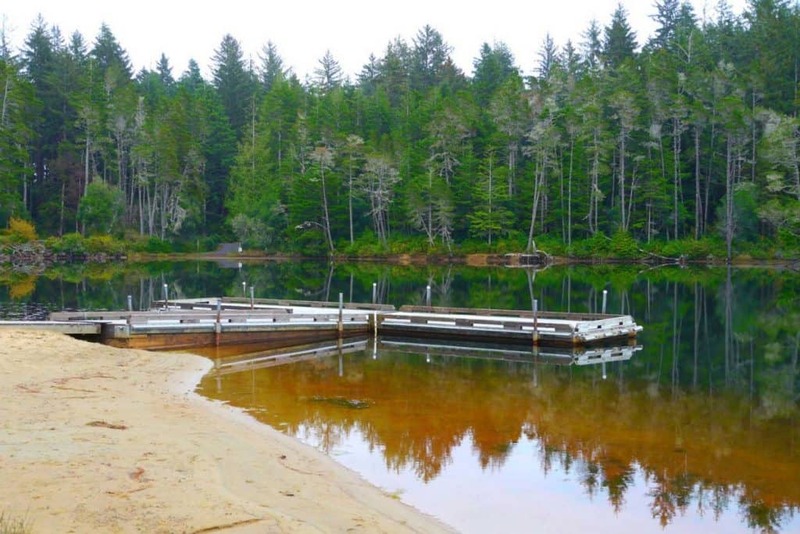 Hiking the trails, you will be able to take in the coastal rain forest, ancient dunes, and freshwater lakes. At the end of the narrow fingers of the lakes you can find unique wetlands. 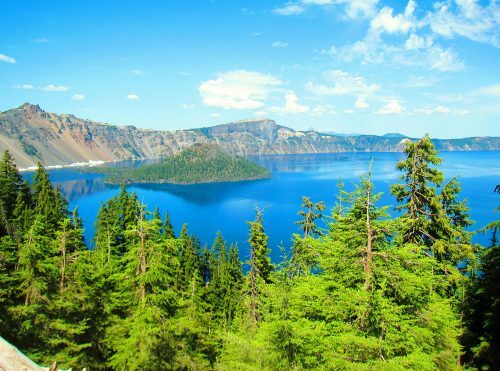 If you enjoy camping, this park is filled with great options for extending your stay from the day to overnight or longer. 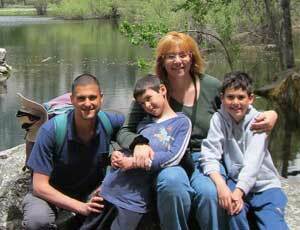 The historical Honeyman Lodge is open Memorial Day through Labor Day from 10 am to 5 pm. Inside are interpretive displays and books to help you learn about the area. In addition, they have a variety of watercraft available to rent by the half hour or hour including kayaks, canoes, and paddle boats. The park is available year-round, and admission is $5 per vehicle. For more detailed information about the park you, can visit their website. They also have a brochure to give you information about the history of the park and the trails available there. 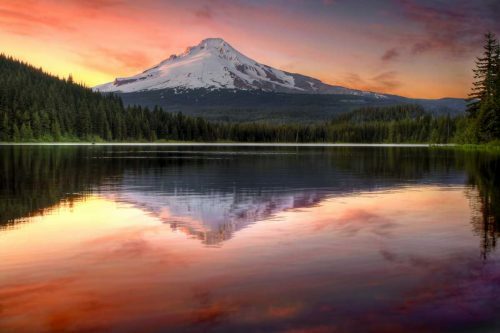 This 18-acre botanical park is the only Oregon state park dedicated to the protection of a single plant species. 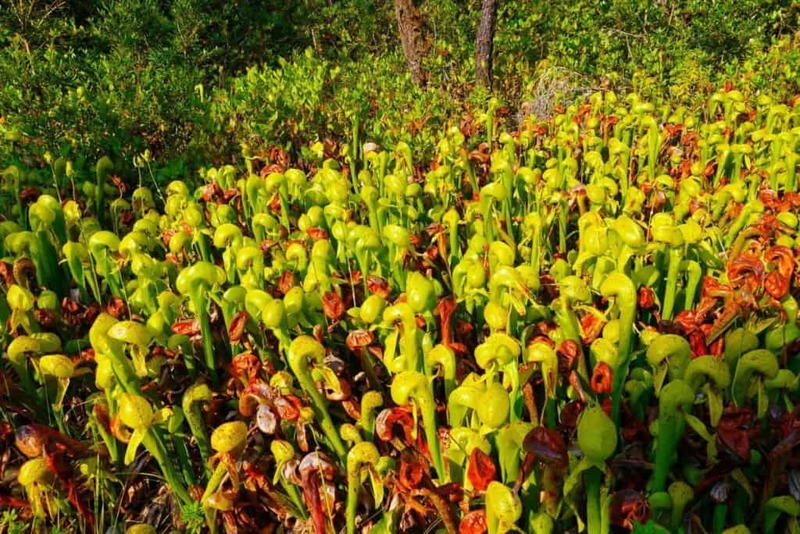 The Darlingtonia californica is the only carnivorous plant in the ecosystem. It is a rare plant that is also called a cobra lily. The plant looks like a rearing cobra with a forked leaf coming from tubular leaves. When in bloom, the cobra lily has flowers with five purple petals surrounded by yellow sepals. While pretty to look at, collecting the plant is illegal. The park has a boardwalk trail that is easily accessed by people from all walks of life. There is also a small picnic area perfect for eating a bite while enjoying the scenery. The park is free to visit and open year-round. Visit their website for park conditions and information about the cobra lily. The best time to visit this park is while the Darlingtonia plants are blooming, typically late spring through early summer. This viewpoint is actually made up of four different pull offs from Highway 101. Each one offers wonderful views, picnic spots, and wildlife watching. 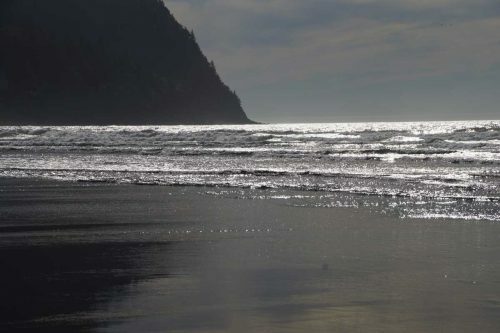 The area is known for the rocky shore and winter waves that crash along the shore. 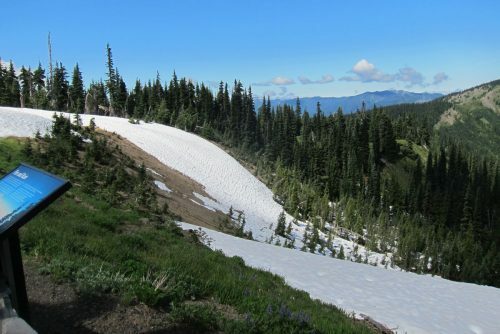 The northern most pull-off has no name but is right next to Gwynn Creek. It offers beach access and grassy areas perfect for a picnic. The pull off furthest to the south is Bob Creek. From here you have access to the beach and can go agate hunting. The Neptune has benches set into the cliff overlooking the beach. 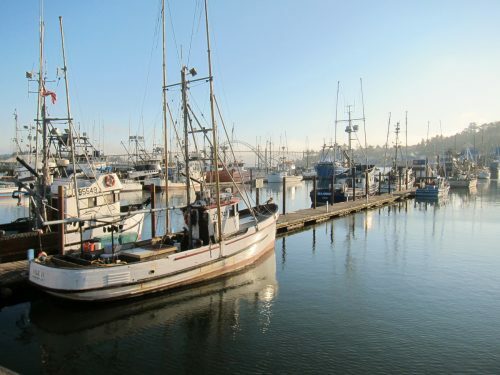 From here you can watch for migrating whales, different species of birds, sea lions, and even maybe a deer walking along the creek. At low tide you, can walk towards the south and find a natural cave to explore. Just please be careful and mindful of when the tide comes back in again. 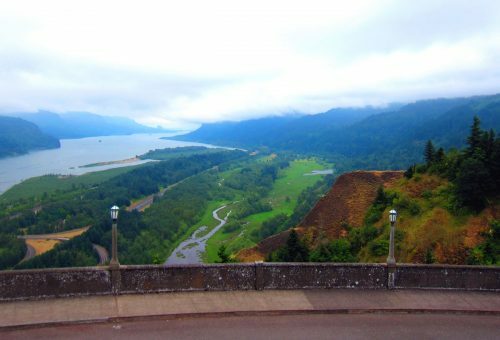 Next, you will find Strawberry Hill, a place with great views of the ocean. There are also a series of stairs that lead you down to the various tide pools and sandy beaches. On pretty days visitors say they have seen harbor seals sunning themselves on the rocks just off the shore. Neptune State Scenic Viewpoint is available to visitors 24 hours a day, 7 days a week. It is free to visit, just make sure you are able to get in and out before it gets too dark to do so as none of the areas are lit. For more information and driving directions you can check out their website. For anyone who reads my blog, this will just be a reminder, but for those of you new to my site let me introduce you to my favorite reservation website! Booking.com is my go-to site for finding the perfect place to stay when I travel, so the links to these location suggestions will pull up the site. Park Motel and Cabins The highest rated and most economical location in Florence, this motel offers clean and cozy rooms. Each room has a microwave and a refrigerator, and the property has barbecue facilities for visitors to use. Quality Inn Florence This location is highly recommended and economical. It provides you with a free hot breakfast, an indoor hot tub, an exercise facility, and a laundry facility is available for guests to use. As with many other posts on this site, we’ve yet to explore some of the options on this list. I’m sure we will be back to visit Florence in the future and plan on using this post for our visit as well – and make sure we check off the list those places we haven’t seen yet. 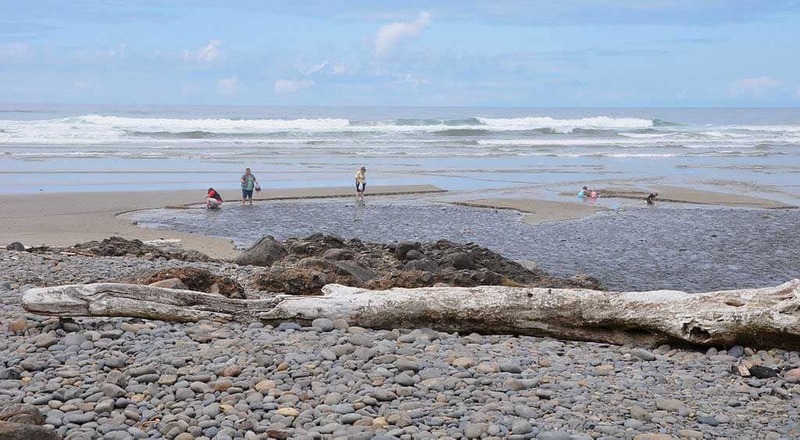 If you’ve seen them, or if you have other places to suggest – or just have questions about traveling along the Oregon Coast, leave me a comment to let me know!